Why should your company consider retreading? Reduce your tire operating budget an average of 40 per cent. By choosing an application specific tread, you will increase fuel efficiency and wear out. Retreads provide some of the best off-road and winter traction available. Save the environment by recycling used casings. Seven gallons of oil is used in a retread vs. 22 gallons of oil in new. The Kal Tire/Bandag Warranty backs all retreads supplied to your company. Kal Tire is able to create a casing program to specifically suit your needs and retread parameters. 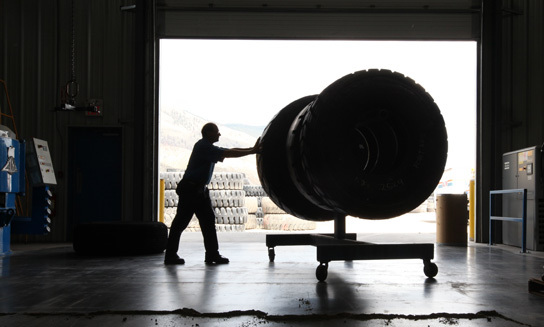 Kal offers a complete line of truck, industrial and OTR retread solutions and repair services.